Following closely on the success trail laid out by the students of grade12, students of grade 10 have achieved astounding results. Out of a total of 87 students who appeared for the exam 71 students have secured A1 and A2 and 15 of them have secured B1 and B2. This brilliant performance is a culmination of tireless efforts by our teachers and students. 87 students appeared for March 2016 exam. 28 students achieved a CGPA of 10. 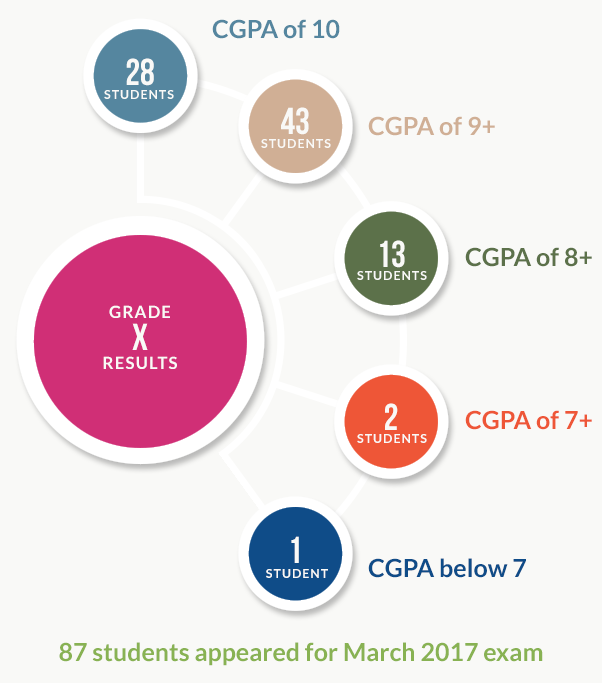 43 students achieved a CGPA of 9 and above.